2 Bedroom Upper Floor Flat For Sale in Sheffield for £170,000. 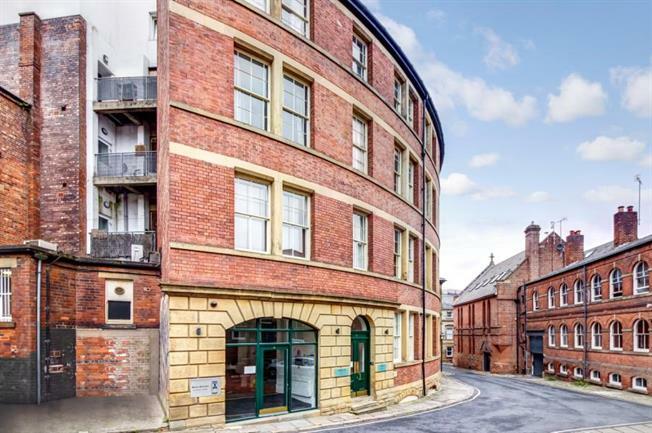 Located in a quiet backwater in the much sought after Cathedral Quarter within the heart of the city centre is this beautifully presented two bedroomed apartment in the Mazda Building conversion of just 12 bespoke apartments. The property benefits from high ceilings, original sash windows, exposed brick work, electric central heating, security intercom system and integrated appliances. Access to a city centre parking permit. The property comprises: entrance hallway, open-plan living area and kitchen, two bedrooms and two bathrooms. Viewing essential. No chain.